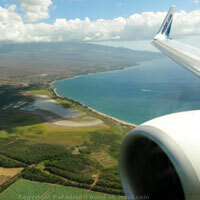 Maui Travel Tips: Don't Pack Your Suitcase Until You've Read These Tips! Not sure what to bring on your trip? 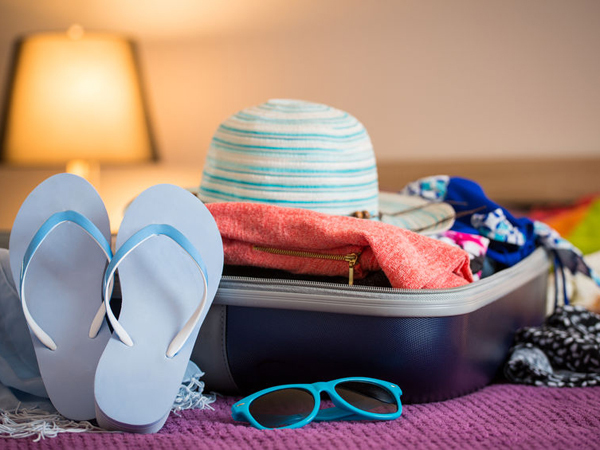 Here are 9 of the best Maui travel tips for packing, to ensure that you don't leave anything important behind. If you're staying at a 5-star resort, then you'll definitely want to bring along your best beachwear and summer outfits. Most of the guests at these kinds of places are very well-dressed, wear jewelry, and have their hair done, for example. Honestly, many of them look like they belong in a vacation magazine feature! On the flip side, if you're staying at a casual 3-star condo or resort, then you'll fit in just fine with your regular, everyday warm-weather attire. If you plan on heading out to a few fancy restaurants, definitely pack a couple of nice outfits for that. If you plan on being in the ocean, pack an environmentally friendly, biodegradable sunscreen that won't harm the coral reefs or sea life. 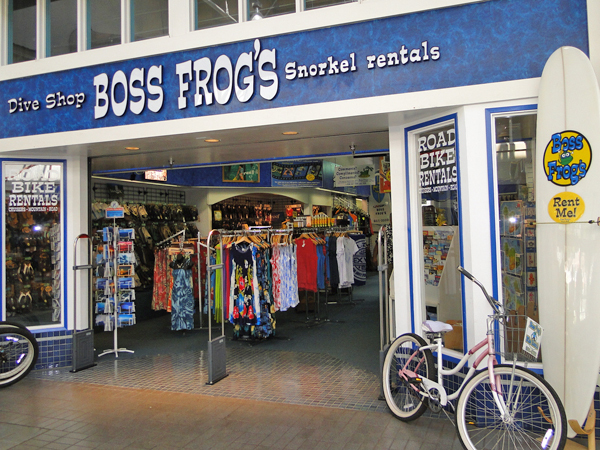 Worst case if you can't find such a thing at home, you'll have no trouble finding it for sale at various dive shops scattered around the island, such as Boss Frog's. Most men on Maui wear surfer-style bathing suits that are the same length as a pair of shorts that stop around the knee (either above or below). The brief-style bathing suit is not commonly worn. For women, you'll fit in fine whether you wear a bikini or a one-piece suit. If you're one of the brave souls who wears a thong-style bottom, you'll be in the minority. 4. Leave some room in your suitcase for a few souvenirs. Maui has tons of great spots for snorkeling around the island. If you're a snorkeling fanatic, you'll be in heaven exploring Maui's reefs. Be sure to bring your gear! It can be costly (and a hassle) to replace these medications on your Maui vacation if you've forgotten them. The last thing you want to do on your vacation is spend your time in line at the local pharmacy, right? Also, you may want to include some over-the-counter (OTC) medications in your luggage... particularly if you're not from the United States, some of the OTC medications that are available at home may not be available in Maui - it's so much easier to just pack them along, than to risk wasting valuable vacation time trying to find a pharmacy that sells them should you need them. 7. Know your airline's luggage restrictions and guidelines. 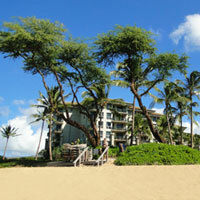 Following this Maui travel tip can save you money on your Maui vacation! The last thing any of us want is to be hit with last-minute overweight-luggage fees at the airport! 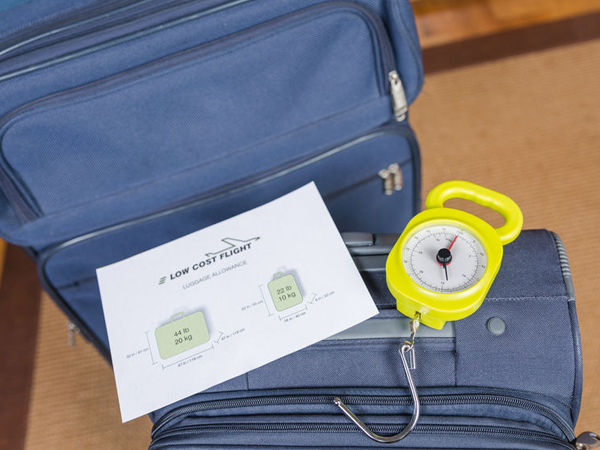 Measure and weigh your luggage before you leave home to make sure you're in compliance with all weight restrictions. Even more importantly, make sure you don't pack a restricted item that isn't allowed on the plane. some of the restricted items are no-brainers... but others are things that you wouldn't necessarily think are a problem. Knowing what's on the restricted list will prevent you from having to part with something potentially valuable at the check-in counter! 8. Rolling, wheeled suitcase, or backpack? Maui has sidewalks everywhere, so even if worst case you'll have to pull your suitcase along behind you for a bit, you'll have no trouble doing so. The only reason I'd consider a backpack alone is if you just like to pack super light, or you plan on taking public transportation to get from the airport to where you'll be staying. 9. Make a list of things you want to bring a week or two prior to your departure. This is my favourite Maui travel tip for packing...ok... I know it's probably not the most earth-shattering tip you've ever heard, but following this advice seriously makes all the difference! This will totally minimize, or better yet, eliminate the chances of forgetting to pack something important. As your departure date gets closer, you'll remember things that aren't yet on your list and you can add them. I've always found that having such a list makes packing stress-free - once the time comes to pack, all I have to do is mindlessly cross items off my list as I go (while daydreaming about all the fun stuff I'll be doing once I get to Maui!) - and there are no worries about leaving anything behind! 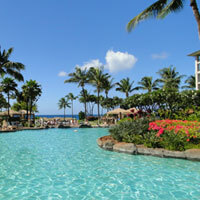 1) Tips to Ensure Your Maui Vacation Goes Smoothly! 2) Flying to Maui? 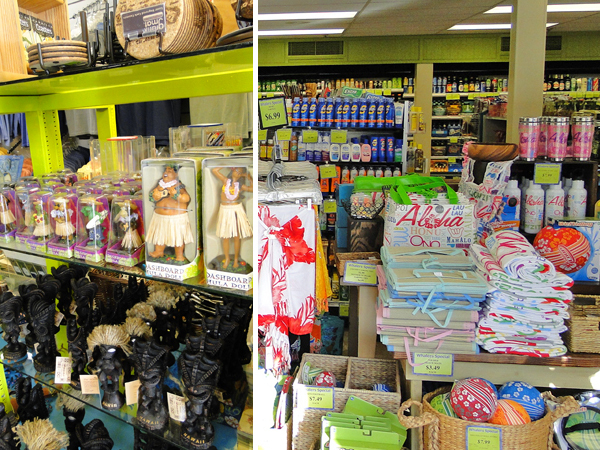 Tips for Your Journey to "The Valley Isle"
3) Taking the Kids to Maui? Travel Tips to Keep 'em Happy on the Plane! Have you ever taken your kids to Maui? Click here to share your tips and stories about taking the kids on the plane! Go to How Can I Get to Maui?